Having Venus next to Mars in my horoscope, I love a good creative competition. So I am delighted that the Great British Menu is back on BBC TV. The creativity of these dishes is astounding. The brief this year is to honour the NHS as it turned 70 this year. 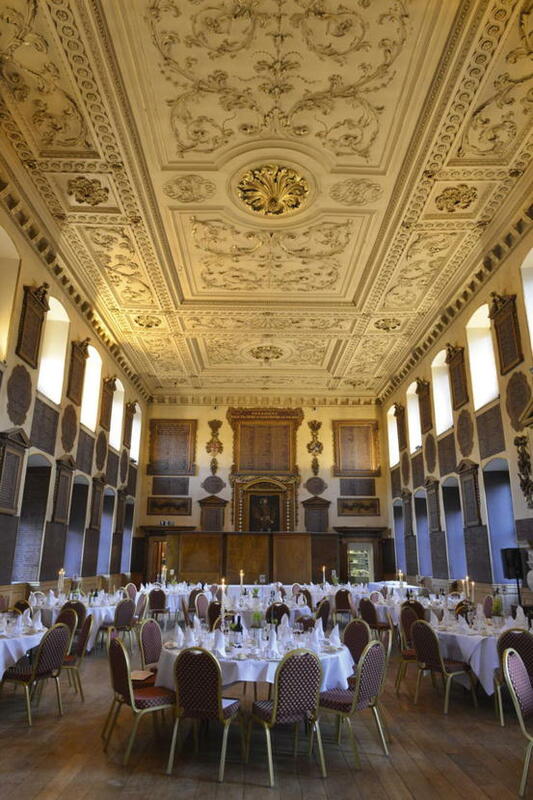 Top chefs compete to cook one of the four courses to be served at a banquet in the Great Hall of St Bartholomew’s Hospital later this year. Hospital and care are part of the Neptune – Pisces archetype, as are feet and fish, so imagine my delight about one of the dishes this week. The fish course produced two extravagant lobster dishes. The plates used in one of these would have made astrologers happy. To honour the night staff, the dish was served on a heavenly painted night sky – the lobster is a night creature – and it was served with carrots done in various ways – carrots being good for night vision! 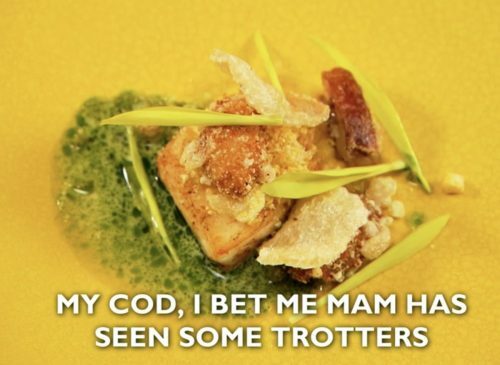 But my favourite was entitled ‘My Cod I Bet Me Ma’am Has Seen Some Trotters’. It was a dish in honour of chef David Coulson’s mother, who has been a chiropodist for many years at the NHS. It was cod (her favourite fish) served with pigs trotters done in amazing ways. Glad it got a top mark! How more Neptune in Pisces you get? Love symbolism. Cancer is the sign of nurturing, food, cooking and of course mothers! Amazing how often these top chefs honour the women in their lives, especially mums and grandmas!